There are 19 reviews of Mediterraneo. A very intense blast of lemon and other citrus notes. This is coupled with a lovely tea note on a bed of flowers and green herbal notes. The ingredients are breathtaking in their quality. It's like you have squeezed citrus juice into a bowl and added the essence of flowers and green herbs and then dabbed yourself. Very nice but a little too realistic and intense. A pedestrian citrus in the manner of so, so many modern concoctions (the entire Atelier Cologne line, for instance). While forsaking longevity, one would be far better served by any number of classic Guerlain Eaux which capture this asthetic of "Mediterranean leisure" more accurately. An initial blast of lemon leaf and zest, very crisp and bright, is followed within ten minutes by a calm, pleasant green tea accord. The lemon fades to the background, but the effect is still there. A refreshing summer scent, not as strong or long lasting as some great citruses of the past, but in no way to be dismissed. Guerlain's Eau de Cologne du Coq and Goutal's Eau de Hadrian are still the best citrus colognes I've encountered, with great depth and long lasting, most probably due to subtle base notes that support the citrus effect without interfering with the central scent. This is not the greatest citrus out there, but it's not bad. Middle of the road. 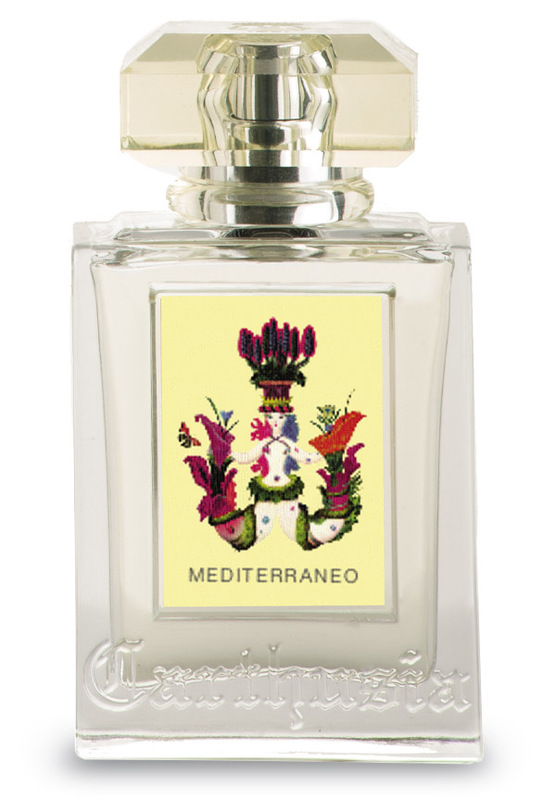 An easy and joyful mediterranean essence with a certain classic vein and an optimistc temperament, in the Aqua Allegoria Guerlain, Etat Libre d'Orange, Askett & English and Annick Goutal's vein. The tea based fluidy greenness, aromatic herbs, the lemony-orangy vibe, some grapefruit and light flowers, the musky base are the notable Mediterraneo's hallmarks on the side of a certain final touch of ambery dustiness. The juice is initially bracing and energizing and finally subtle, floral, vaguely rooty and airy. Longevity is more than in the average and the projection is close to the skin. I usually detest citrus-based scents, especially lemon ones. I often find them too sharp, too much like the scent of detergent or too candied. Mediterraneo on the other hand, is perfection. The composition is mostly lively, watery citrus, quite natural smelling when compared to other citrus perfumes. There is a touch of tea leaves, however it's not particularly strong. I love how refreshing Mediterraneo is on the skin. It's nothing out of the ordinary, but for what it's worth, I'd choose it over and above many Summer scents on the market these days. It feels like a cologne or a body splash, yet it comes in the form of an EDT, with great lasting strength and moderate sillage. Like craving a glass of icy cool water on a hot Summer's day, Mediterraneo is the kind of fragrance that you reach for to feel refreshed and energised during such weather. It is, in my opinion, much nicer than D&G Light Blue and Annick Goutal's Eau d'Hadrien, and all in all, much more exclusive. Sealed Box CARTHUSIA MEDITERRANEO 3.4 oz 100ml Eau De Parfum Spray Brand New! There are no member images of Mediterraneo yet. Why not be the first? Carthusia Mediterraneo - What is it like?